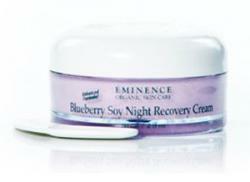 Eminence Organic skin care products are becoming increasingly popular all around the world. The Eminence Organic Skin Care (EOSC) company was first established in 1958, and the company has always had a strong commitment to manufacturing and distributing safe and healthy products. However, EOSC is also concerned about the environmental practices through the entire life cycle of their products. The company indicates that their products are made by hand, which allows them to skip potentially harmful industrial practices. They incorporate ingredients that are grown according to the principles of Biodynamic farming and raised using renewable energy. The EOSC company itself uses recycled and biodegradable materials in the packaging of their products. Their offices are run using energy-saving practices, and they try to conserve energy when distributing their products. Even the charitable efforts of the company are environmental in nature. All companies will vary in terms of their dedication to the environment, and EOSC rates very well in terms of its environmentalism. The EOSC product line is very broad, but a number of their products do stand out among the competition. These products have attracted plenty of positive reception from both satisfied customers and dermatologists. 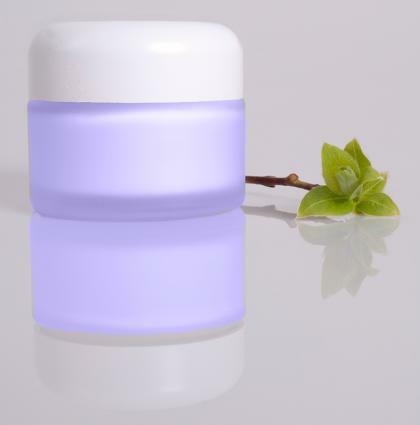 Many people apply anti-aging moisturizers before going to bed as an efficient means of multi-faceted skin care, and Blueberry Soy Night Recovery Cream is a good choice. People with various skin types will benefit from this night cream, including anyone with dehydrated, normal, or dry skin. The description from the Dermstore indicates that people can use this cream to make fine lines, large pores, and wrinkles less noticeable. People can effectively cleanse their skin using this Citrus Exfoliating Wash by the EOSC company. MakeupAlley has included several reviews of the product, and even the mixed reviews indicate that the product is gentle and has a pleasing scent. The positive reviews have reported that the cleanser made facial skin feel smooth and clean. The MakeupAlley reviewers with oily skin and sensitive skin praised this wash, so the product has broad appeal. Dermstore's dermatologist review indicates that the Citrus Exfoliating Wash manages to avoid drying out the skin after it has been used, which is particularly important for people that naturally have dry skin. Individuals looking for a product that will help them even up the tone of their skin, help with breakouts, and maintain youthful skin might want to give this Sugar Plum Oil-Free Revitalizer a try. Dr. Craig Kraffert's review indicates that this product is particularly effective for people that have combination skin. Dr. Irwin at SkinTour indicates that a cream like this is a relatively rare find since not many creams are organic and contain no oil. Irwin indicates that people with oily skin often have bad luck with moisturizers, making this revitalizing cream a fortunate exception. Customers usually have to shop around to find organic beauty products that work for them, but many customers appear to be satisfied with what EOSC has produced. The company's environmental practices are impressive, and they have produced many successful skin care products along the way. Perhaps one or more of their products will work for you.